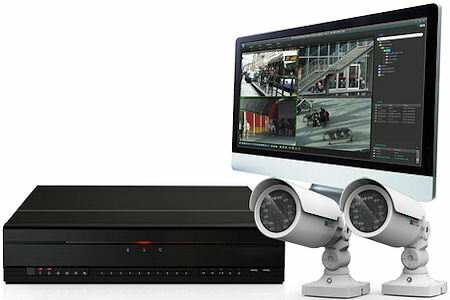 IDIS, the industrys leading DVR manufacturer, has revealed its stand at this years IFSEC will be dedicated to demonstrating its revolutionarily simple and affordable, plug-and-play, high-definition (HD) DirectIP video solutions for business large and small. IDIS will showcase its game-changing DirectIP solutions on stand D30 in Hall 5 at IFSEC International from 13  16 May 2013. Packaged as a one-stop-shop affordable solution, comprising a range of cameras and network video recorders (NVR), DirectIP delivers unrivalled plug-and-play simplicity, combined with highest-quality performance, compatibility, and industry leading pricing. Small Business Zone  Visitors will see how DirectIP delivers a truly affordable video solution to small businesscomprised of a range of cameras and four to eight channel NVRs, with simple, uncomplicated plug-and-play installation and configuration that requires little to no training. With DirectIP, small businesses such as retailers can lower costs, all while realising the full benefit of HD surveillance. End-users can benefit from the flexibility of network-enabled solutions, while installers retain existing customers, without re-training or requiring complicated network knowledge or skills. Medium Business Zone  DirectIP is the cost-effective solution for medium sized enterprises, increasing asset protection and situational awareness, while speeding up response times and the investigation of incidents. Free, embedded client software enables simple and cost-effective configuration, providing integration with third party systems including intruder, access or point of sale (POS) systems. Medium sized organisations will find a simplified security buying chain with IDISs single source solution, eliminating the need for expensive hardware, software licenses and associated on-going maintenance costs. Large Enterprise Zone  For large enterprises, IDIS will show how DirectIP provides the scalability and flexibility ideal for large-scale multi-site video surveillance at an incomparable price. As a single source solution, DirectIP significantly reduces the total cost of ownership through use of its own switching hubs, network accessories and the capability to record and store video without expensive IT storage solutions or hardware. DirectIP leverages existing fibre networks without the need for third party routing and switching reducing latency and the cost of complex cabling while eliminating image degradation across the network. On the stand, security managers and integrators will see how embedded IDIS video management software enables simple integration with third party systems to provide an intelligent event and alarm handling platform. Inherent failover capability, condition monitoring and secure protocols make DirectIP a compliant and stable surveillance solution for large mission critical security operations. "Visitors to the IDIS stand at IFSEC will see clearly that DirectIP is the next generation in HD surveillance in a simple and affordable package," noted Brian Song, Managing Director, IDIS, "Video systems should be easy to install, configure and operate. We looked at how the industry installs and operates analogue systems and realised that networked HD video surveillance had become far too complicated and expensive. "With DirectIP, we have eliminated complicated configuration, reduced installation costs, and ensured simple, everyday useresulting in a significantly lower total cost of ownership. At IFSEC, we will demonstrate how the entire security buying chain from distributors to installers to end-users can benefit from DirectIP." Visitors pre-booking DirectIP demonstrations during IFSEC receive automatic entry into the IDIS daily prize draw for fantastic prizes, including two weekend breaksan exhilarating driving experience and a golfing excursion to a championship course of choice. Visitors should e-mail ifsec@idisglobal.com to book a dedicated time slot and experience first-hand next generation video surveillance.